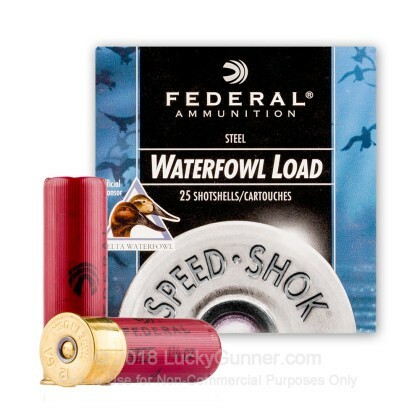 Get your waders on and load up with these 12 gauge shells from Federal for some exquisite waterfowl action! 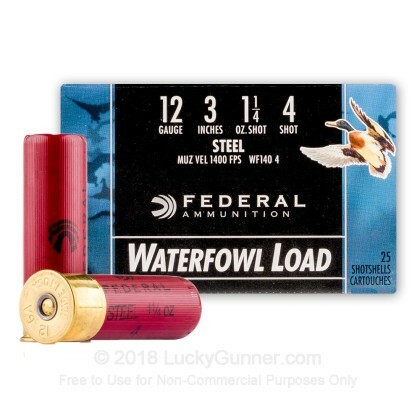 Each of these three-inch shells packs an extra punch for long range capability that will easily drop ducks and geese in flight. 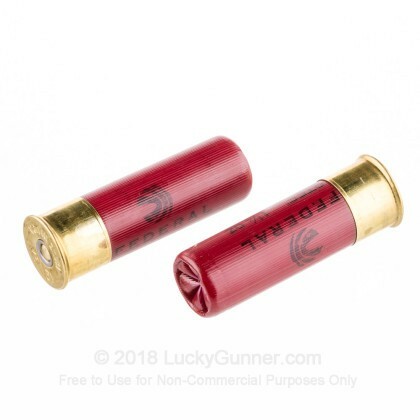 The shot load consists of #4 size steel pellets which weigh in at 1-1/4 ounces; steel material is legal for use on lead-free estates, visits less toxicity upon the environment, and leaves edible meat in a much safer condition. 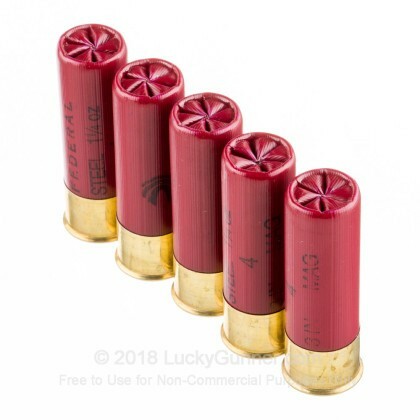 Other components of these shells include reliably-igniting 209 primers, moisture-resistant hulls, and high-density primers equipped with expanding flanges which optimize propellant gasses and produce consistent muzzle velocities. Federal is an American company that has been around since 1928 and is well-known for products of consistent quality and proven design. 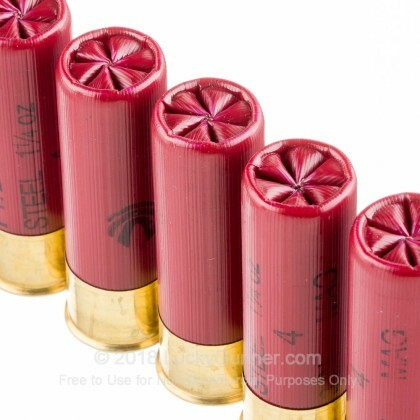 Their ammunition is trusted by police officers, military personnel, and exotic hunters all around the world. 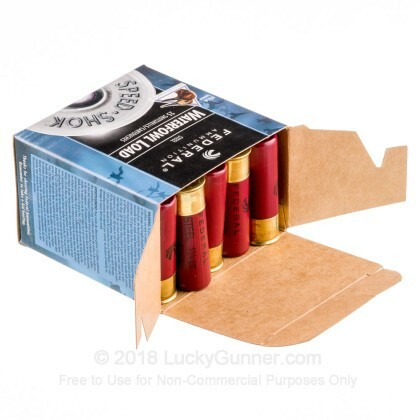 Their 12 gauge shotshells are made completely in-house using factory materials which undergo a multi-point inspection process.